More than 9,000 people are diagnosed with primary brain tumours in the UK each year, of which about half are benign and half are malignant. Many others are diagnosed with secondary brain tumours. The type of brain tumour and how fast it grows will place it in one of four categories, with 1-2 being the slower-growing type that are less likely to come back after treatment and 3-4 for the faster growing type that may not be as easy to treat. 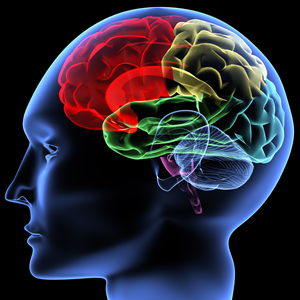 Grade 1-2 brain tumours are referred to as ‘Benign’ due to their slow, non-aggressive nature. Grade 3-4 brain tumours are known as ‘malignant’ and can either start in the brain or spread there from elsewhere in the body. They are fast growing and much more likely to grow back after treatment. These symptoms may only be mild to begin with and develop slowly over time. If you are experiencing any of the symptoms listed above, it is imperative that you speak to a health professional for further investigation. This could involve either a MRI or CAT scan (both of which are painless) to determine a diagnosis. The exact causes of benign and malignant brain tumours is not known, but in the majority of cases, malignant brain tumours are as a result of cancer that has spread to the brain. This can happen when if someone is suffering with either lung, bowel, melanoma skin cancer and breast cancer. In a few cases, a brain tumour can start in the brain when it changes from a benign status to a malignant one. Again, it is not known why this happens. The overriding treatment for brain tumours, is surgery to remove as much abnormal tissue as possible. Chemotherapy may still be needed in addition to surgery, as it is not always possible to remove an entire tumour and any remain cancer cells need to be eradicated. The success or failure of treatment for tumours will depend heavily on whether it is benign or malignant. Most people will recover from benign tumours, but the prognosis is not always so good when it is malignant, although age, location of the tumour and general health will affect the outcome also. As with all cancers, an early diagnosis will improve your chances of survival. If you have any worries or symptoms, please do contact us today for a friendly chat. Eye cancer, also known as ocular cancer, is rare, with around 430 cases diagnosed in the UK each year. The most common type of eye cancer (although all are very uncommon) is intraocular eye melanoma (inside the eye), which is inside the eye itself. It can originate in the eye or spread there from other areas. There are other conditions that share these symptoms, so you don’t necessary have cancer if you have experienced any of them. However, it is very important to get it looked at by a health professional as soon as you can. Early diagnosis more often than not leads to an increased chance of recovery. There aren’t always symptoms of ocular melanoma and the condition can be detected during routine eye tests. If it is deemed that you may have a melanoma of the eye, you may be referred one of the UK’s opthalmic specialist centres, which are located in; London, Sheffield, Liverpool or Glasgow. Whilst there, it is probable that a variety tests will be carried out to determine the exact nature of the abnormality. Ultrasound scans are often used on the affected eye to get a detailed picture and you may be required to have numbing eye drops which will blur your vision for a time. Ocular probes can be used to find out more about the tumor and it’s location. They can be uncomfortable, but shouldn’t hurt as lubricating gel is administered to reduce friction during the procedure. Fluorescein angiograms involve dye being injected into the bloodstream and can help identifying ocular problems. As with most cancers, the treatment required will depend on the type, size and location of the melanoma. Enucleation – In severe cases, where the tumour has grown large, the eye may need to be removed to prevent the cancer spreading. This may be combined with radiotherapy to ensure all the cancer cells have been destroyed. 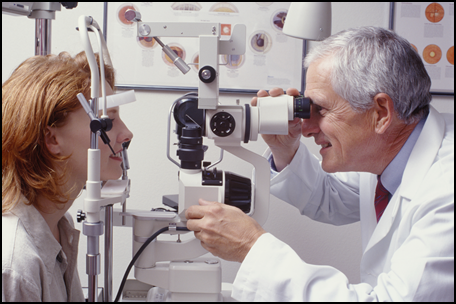 Local Resection – may be carried out if the prognosis for saving some sight is good. By cutting out the tumor and removing all cancer cells, it might be possible to save the eye. If you have any concerns regarding eye cancer, please call us today for a friendly chat. Mouth cancer is an uncommon type of cancer, accounting for one in 50 of all cancer cases. In the UK, just over 6,767 new cases of mouth cancer were diagnosed in 2011 (the latest reliable data). Most cases of mouth cancer first develop in older adults who are between 50-74 years of age. Mouth cancer, also known as oral cancer, is where a tumour develops on the surface of the tongue, mouth, lips or gums. Tumours can also occur in the salivary glands, tonsils and the pharynx (the part of the throat from your mouth to your windpipe) but these are less common. Squamous cell carcinoma is the most common type of mouth cancer, accounting for nine out of 10 cases. Squamous cells are found in many places around the body, including the inside of the mouth and under the skin. As the following symptoms are easily experienced with much more minor conditions, it is not deemed suspicious until they have last at least 3-4 weeks. Once a problem is suspected, a health professional can examine your mouth and that can lead to a biopsy where a sample of the mouth tissue is taken to check for cancerous cells. A punch biopsy may be carried if the affected area is easily accessible. Your mouth will be numbed with a local anaesthetic before a specialist will cut away a small sample for analysis. A fine needle aspiration (FNA) is a type of biopsy used if it is suspected a swelling in your neck is the result of mouth cancer. Your neck is anaesthetised so a small sample of tissue and fluids can be taken from the lump. The sample is then checked for cancerous cells. A panendoscopy is used if the suspicious area is at the back of your throat or inside one of your nasal cavities. A long thin tube with a camera and a light is used to guide it through the nose, then used to remove a small section of tissue for the biopsy. The panendoscope can also check whether cancer has spread from your mouth to further down your throat, such as your larynx (voice box), oesophagus (gullet) or trachea (windpipe). 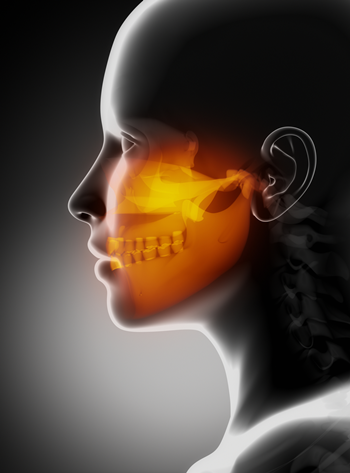 It is uncommon for mouth cancer to spread further than the lymph nodes near your mouth, although in some cases it may also spread to surrounding bones, such as the jaw bone, and in some cases your lungs. Further biopsies on nearby lymph nodes may also be carried out. These treatments are often used in combination. For example, a course of radiotherapy and chemotherapy may be given after surgery to help prevent the cancer returning. If you have any concerns regarding mouth cancer, please contact us today for a friendly chat.